Here’s the gist: conflict is inevitable. If you are alive, you will experience conflict. Many of us spend a lot of time trying to avoid conflict, and while we certainly don’t need to seek it or cause it on purpose, we should face the reality that it will happen, and so focus on developing skills for effective, healthy conflict. Write this down: A lack of conflict does not mean an organization is healthy. It likely just means nobody cares. The fact is, conflict doesn’t necessarily mean there is a “good guy” and a “bad guy.” Your conflict may simply involve circumstances, struggles against nature, challenges in facing aging, etc. It’s still conflict, still inevitable, and there are still productive and destructive ways of dealing with it. Within an organization, just about everything about unhealthy conflict starts with a lack of trust. That means developing healthy conflict habits is not easy. You certainly don’t want to trust someone who has proven untrustworthy! You can’t control anyone else, but you can recognize the importance of trust and be a person who is worthy of it yourself. On Saturday, we’ll build some of our idea exploration on the insights from The Five Dysfunctions of a Team: A Leadership Fable . 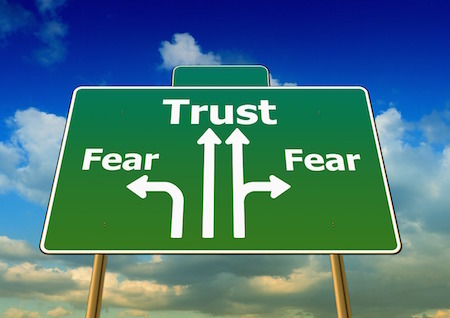 Author Patrick Lencioni says the five are not separate issues to be addressed, but rather a hierarchy, with each one forming the basis for the next dysfunction–and it all starts with trust or lack thereof. How can I make the others behave? We’ll also talk about the necessity for assertive communication (which figures particularly into one of the five Lencioni levels). Assertive communication seeks simple clarity, whereas both aggressive and passive communication seeks to control the other person. The problem with both aggressive and passive communication, though, is that you can’t control another person, at least not for long and not effectively. Assertive communication is likeliest (especially in the long run) to get what you want because it is built on mutual respect, which encourages a reciprocal response. In fact, I would say it’s the basis of building trust. But that’s for another post.